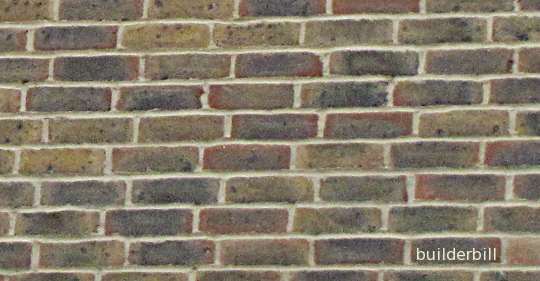 Similar to stretcher or running bond but the overlap of the bricks is less than half a brick. Usually a third or a quarter. At the right is a sketch that has a quarter overlap of the the joints. So we get the perps vertically above each other every fourth course. Below is yet another variation of stretcher or running bond, again with the overlap being a quarter, but this time the alternate courses are set back the opposite way to keep every second perpend in line.